Rosa De Angelo and Ellen McCarthy are about to become two of the newest victims of SEAS - Severe Environmental Allergy Syndrome. Haunted by dreams of orbs in the night, they wake up to news reports of UFO swarms and alien abductions by the thousands. Separated from their families, Rosa and Ellen are ushered into isolation tent cities established to prevent the public from having any further exposure to the growing number of SEAS victims. 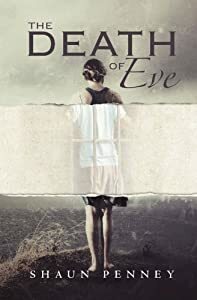 With the SEAS pandemic, coupled with increased seismic activity, and climate change threatening Earth, United States President Barbara Unger is searching for human salvation. 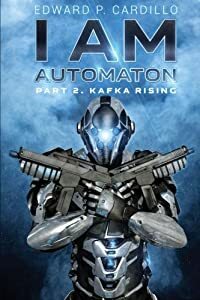 She is contacted by two alien species, the Grays and the Guardians, both offering conflicting methods of action to save Earth. 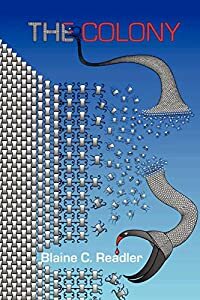 The Grays offer to transport of up to one million humans to their planet, Nuur, mostly women of childbearing age as a safety measure to save humanity. 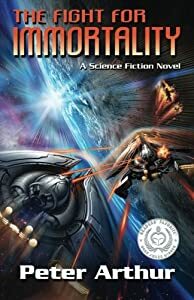 The Guardians insist the Grays plan to use humans to create a dangerous hybrid species, that the diminished state of Earth is only temporary, and it will survive this crisis. Knowing the Grays have manipulated us while the Guardians ulterior motives are unknown, President Barbara Unger will ultimately have to decide who is friend and who is foe. Will she place the fate of the human race into the hands of the Grays or Guardians? Porter thrusts us right into the action. Ordinary people caught in a terrifying scenario must take extraordinary measures to save their children, themselves, and possibly Earth. 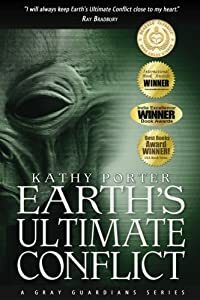 This is a real Science Fiction thriller and a great read that will introduce you to a group of confused, frightened residents of Kathy Porter's Planet Earth. 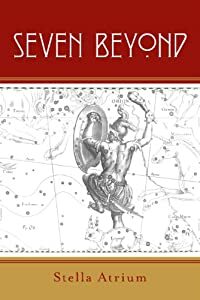 When a meteor crashes to earth near Roswell, New Mexico, in the summer of 1947, one boy's life is changed forever. Simon Cole, a 12-year-old Boy Scout, is on a rock-hunting expedition when the fireball screeches overhead and slams into the ground just beyond the horizon. Simon hikes with the rest of Troop 32 to the crash site the next morning, and together they make a shocking discovery. What happens next, though, vanishes from Simon's memory. Only a pair of grainy black and white photographs-taken by Simon at the crash site-preserves the truth about a vast government cover-up that will claim the lives of many. The two photos, filed away as part of Project Genesis, survive decades of intrigue, all the while finding their way into the hands of Attorney General Bobby Kennedy, Marilyn Monroe, and Marilyn's nosey, Bible-toting next-door neighbor, among others. In the summer of 2011, Simon Cole, now a U.S. senator nearing retirement, has been researching 1947, what he calls "the lost year," in the hopes of finally discovering what happened. 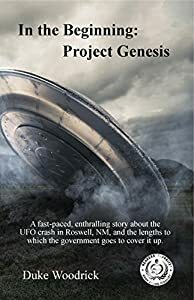 He receives help from a ragtag group of survivors, including Roger Smith, a mortician who was pronounced mad in 1947 for telling the truth and was locked away in an asylum; Number Four, a former government operative, now in his last days, hoping to absolve his guilty conscience; Carol Snow, an abductee who discovers a secret facility near Groom Lake, Nevada, and the time-manipulating "Hub" that powers it; and Andrew Jackson, a Vietnam vet willing to put his life on the line for humanity. After Senator Cole's own secretary returns the photos to him, she helps close the loop. She also teaches him something about his quest. The past belongs squarely in the past. The future is what matters. Kiel seeks temporary refuge from his hard life on the road as a fugitive, and believes that he's found it on the Bakke farmstead. He fails to see, however, that if it were simply a safe haven he sought, he would do much better giving himself up to the police. The farm harbors tiny enigmatic creatures that are masters at cooperating towards their collective goal. As their capabilities grow, their tolerance diminishes for people who get in their way. Against an expanding threat of aggression, Kiel bands with the Bakke family to fight back. The fight, however, soon becomes a struggle to survive the deadly, resilient forms evolving before their eyes. He shares a face with the perfect specimen. Together, they'll reshape a divided nation... or shatter it completely. As they fend off enemy forces and puzzle out the mystery of their past, Danyael faces an impossible dilemma. Should he use his healing powers to inflict pain or will he risk a lifetime in a cage? 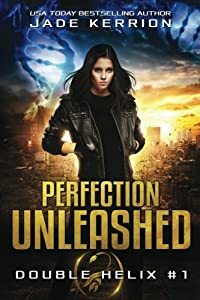 Perfection Unleashed is the first installment in Double Helix, a series of captivating sci-fi novels. 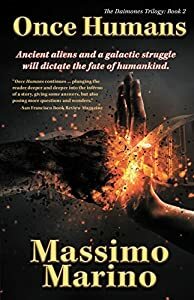 If you like non-stop action, nuanced characters, and near-future genetic engineering, then you'll love USA Today bestseller Jade Kerrion's absorbing story. Buy Perfection Unleashed to crack open a mind-bending sci-fi series today. Having escaped the storms of Betelgeuse and the schemes of Jannah's inhabitants, Sandfly and HardCandy make their way back to Earth. They have a message to deliver. A society to free. And A~A3 is with them. Their mission is simple, and just. What could possibly go wrong? Unexpectedly, DarkTrench drops into normal space. He is malfunctioning, wounded, and the only people who can fix him are still hundreds of light years away. Sand and Hard scramble for a solution while catastrophe hurtles blindly toward them. They reach Earth to find a different world, an unexpected domain. One they can no longer connect with. They are stranded, hopelessly separated beneath a wasteland of death and a planet of rules. Debuggers amidst a cloistered community. Ultimately, Sandfly is alone, and Earth's freedom relies on him and his newfound faith. But does his mission even matter anymore? He's a misfit, and a throwback. A symbol for all that's evil. 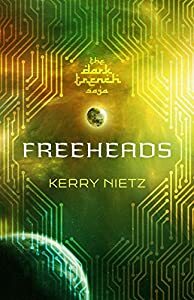 Perhaps he's the last freehead?